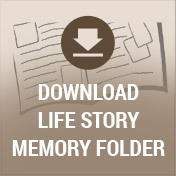 A reception will follow the mass at the funeral home in the Life Story Center. A vibrant, vivacious, and hardworking woman, Brenda Hahn was truly extraordinary. She was very spiritual with a heart that beat to love and serve others, her touch reaching so many both near and far. Although she accomplished so much of which to be proud, there was nothing Brenda cherished more than watching her family grow to include the grandchildren she held near and dear to her heart. An amazing provider, she was well respected in the community she called home throughout much of her life. Although she will be deeply missed, Brenda leaves behind a timeless legacy that her loved ones will proudly carry on in her footsteps. It seems only fitting that Brenda’s journey began during a time that was as vibrant as she was. It was the 1950s when Sidney Poitier and Dorothy Dandridge were among the big names in film, while Little Richard, Sarah Vaughan, and Ray Charles took the music world by storm with the sounds of rock ’n roll, jazz, and R&B. It was on September 5, 1950, that she was born to Osborn and Maedel (Davis) Alexander in Atlanta, Georgia. She was actually a twin born at home just a couple of minutes after her twin sister, Linda. They were the oldest children in their family, and in all there were three sets of twins, although not all survived. 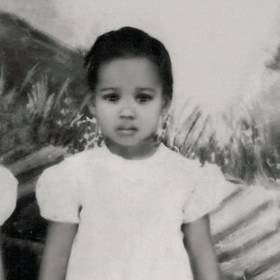 She was raised in the humble beginnings of inner city housing projects by her single mother who worked as a maid and laborer. Even from the time she was a young girl Brenda was going places. She enjoyed reading, roller skating, and playing R & B and rock ’n roll on the juke box. Brenda looked forward to trips to the country to visit family as they had room to roam out there. The women there made amazing meals on wood burning stoves, and the smell of the food combined with the smell of the red Georgia dirt was something she never forgot.  Brenda was also inspired when they drove through the wealthier neighborhoods, instilling within her a drive to succeed. She attended local schools where she uncovered amazing musical talents as she played the flute, clarinet, sax, and percussion. Brenda also excelled in her studies as she graduated as the valedictorian of her class. After graduating from Turner High School in 1968, Brenda was eager for all that life had in store. She won a scholarship and attended Kalamazoo College where she majored in microbiology. It was during this time that she met Calvin Ruff, Sr., a student at Western Michigan University. They married in 1969, and in 1970 they were blessed with the birth of their son, Calvin, Jr. Although they later divorced, Brenda was forever grateful for the son they shared. Throughout her life Brenda was one to work hard. She started out working in the labs for the Upjohn Co. for several years. Her employment interests then expanded to HR development, and she retrained herself to become a manager in this field. Brenda had a strong desire to help people feel and do their best. She continued advancing in her career, moving into banking and also working for different pharmaceutical companies. 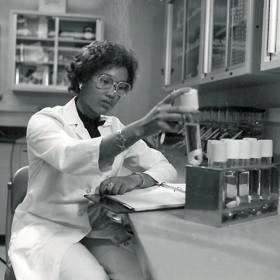 Brenda was later hired at Bayer in HR Development, which was a job she loved and the capstone of her many professional achievements. In addition to building her career, she met a man named David Hahn. They were married in the mid-eighties. Their careers required them to live together and apart at times in places like Kalamazoo, Kansas City, Milan (Italy), and New Jersey, to name a few. When they divorced, Brenda moved back to where her son lived. She always remained friends with both of her ex-husbands. Brenda was an active woman with many interests. She was into fashion and loved shopping at Neiman Marcus, Macy’s and Marshall’s, and she was a lover of shoes. Brenda had a sense of adventure and loved traveling. Her travels took her all over, but among her favorites were Barcelona, Rome, and Kaua’i, and basically anyplace where she could enjoy the ocean and a refreshing tropical drink! Cabo San Lucas was someplace she had been traveling to more recently as it was so healing to her spirit. From the time she was a young girl, Brenda loved the holidays as it was a time for amazing food and memorable times with loved ones. 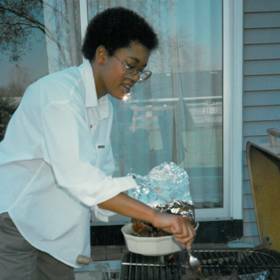 She loved a good meal and enjoyed both cooking and grilling as she was a meat lover who loved ribs, steaks, chicken - you name it! Brenda also enjoyed wine and margaritas. From a young age she was an activist who loved fighting for the underdog. Brenda was most recently passionate about fighting for the minimum wage increase. Perhaps because she was so well traveled, she had a thirst for learning new things and really dug in and learned everything she could about things she was passionate about. On November 30, 2002, Brenda became a Catholic and was deeply spiritually rooted from that point forward. She strived to teach young people about the power and love of God and continually reminded people to love one another. Brenda loved being with her grandchildren, and she was very affectionate where they were concerned. She was forever coming up with things to do together, and she loved fussing over them. At times they had spa days and others they got all dressed up. Brenda also did some traveling with her grandchildren. Described as one of the sweetest people around, Brenda Hahn was a blessing in the lives of everyone she met. Compassionate and loving, she was independent with a spirit of generosity that was unmatched. 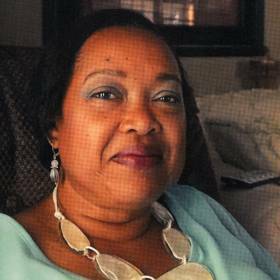 Diagnosed with cancer in the fall of 2014, Brenda fought with everything she had while making sure not to be a burden to her family. Deeply loved, she will be forever missed. Brenda Alexander (Ruff) Hahn, of Kalamazoo, died peacefully January 7, 2017. Brenda’s family includes her son, Calvin Ruff (Sheryl Lee-Ruff); 4 granddaughters: Kylee Kynaston, Jaidyn Kynaston, Cozette Ruff and Joya Ruff; twin sister, Linda Alexander, Authurine Thornton, Gina Cobb, Chela Smith and many nieces, nephews, godchildren, and spiritual kindred. 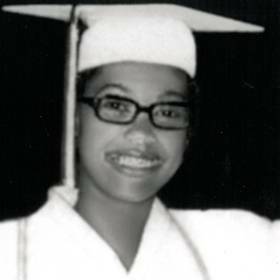 Brenda was preceded in death by her mother, Maedel A. Smith; grandmother, Dannie Lou Hull; great-aunt, Arie Lee Smith ; and twin brothers, Rodney and Ramone Smith. Cremation will take place. Mass of Christian Burial will be celebrated Friday 1/13/17 at 10:30 a.m. at St. Joseph Catholic Church. A reception will follow at Betzler Life Story Funeral Home, 6080 Stadium Dr. Kalamazoo (269) 375-2900 in the Life Story Center. Please visit Brenda’s personal web page at www.BetzlerFuneralHome.com, where you can archive a favorite memory or photo and sign her online guestbook before coming to the funeral home. Memorial contributions may be made in her name to: St. Joseph Catholic Church, Michigan United or Hospice Care of Southwest Michigan.